Ms. Schmalzried is a passionate child health advocate with experience in substance use prevention and community engagement both domestically and internationally. Before joining HRiA in 2017, she was for three years the director of a community coalition to prevent and reduce substance use among youth. 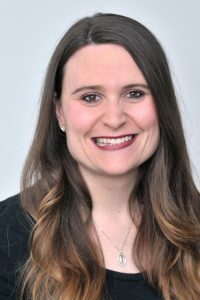 Ms. Schmalzried earned a Bachelor of Science in biology from Quinnipiac University and a Master of Public Health from Boston University, with a concentration in maternal & child health. She is committed to youth empowerment through health and wellness promotion.